A bead bazaar turns bizarre when jewelry designer and glass beadmaker Jax O’Connell discovers a dead body beneath her sales table. Suspected of murder, Jax and her friend Tessa scramble to find the killer among the fanatic shoppers and eccentric vendors. They have their hands full dealing with a scumbag show promoter, hipsters in love, and a security guard who wants to do more than protect Jax from harm. Adding to the chaos, Jax’s quirky neighbor Val arrives unexpectedly with trouble in tow. Can Jax untangle the clues before she’s arrested for murder? Jax and Tessa are off for a weekend of fun. They are excited to be attend a bead filled bazaar in Portland. Jax plans to sell, sell, sell, and Tessa plans to buy, buy, buy. Just after the event starts the room in plunged into darkness and the first night is cancelled. Hoping things are a go the next day Jax hurries to get her booth ready but instead she finds a very famous beader under her table and she has been there a while. Jax’s screams for help are answered by a hunky security guard and both of them know there is no hope, the woman is clearly dead and because she is under Jax’s table she becomes a prime suspect. For the rest of the weekend Tessa spends her time selling beads for Jax while she tries to figure out who really killed the bead diva. Val arrives just in time to “help” and brings her own chaos to the weekend. I recently read and reviewed the first book in this series, High Strung , and then pushed this one to the top of of my To-Be-Read list and the author sure did not disappoint. I loved trailing around with Jax, Tessa and Val. Since they were away from home Detective Grant had a much smaller role. Instead we met Ryan, a security guard that really catches Jax’s attention and Detective Tiffany Houston, who methods of investigation are completely different than Detective Grant, and not in a good way. Some of the bead makers from book one return and they are joined by several more. They make a very eclectic group and to Jax every one of them is a suspect. The pace of this one is pretty brisk from the start. The author has strung together a web that has almost the entire cast connected in some way to the victim, Saundra Jameson. She was a woman very full of herself and treated many people terribly. The plots and subplots blended together naturally and kept my attention to the very last word. Again the author’s knowledge of bead making and creating jewelry was very evident and with her descriptions I could easily envision each bead, necklace and earring. I did enjoy the bit of romance that started to bud in the story and am anxious to see how it plays out in future installments. Jax, Tessa, and Val are treasures and this story was so much fun to read. 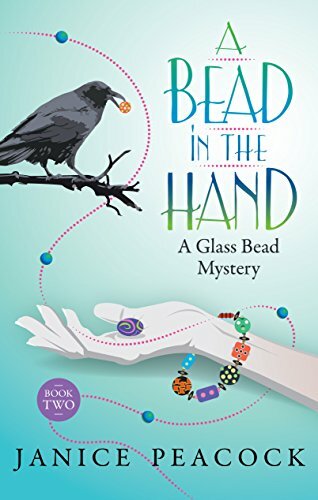 I need to squeeze in Be Still My Beading Heart: A Glass Bead Mini-Mystery soon because Off the Beadin’ Path (Glass Bead Mystery Series Book 3) will be out March 11 and I want to be ready for it. 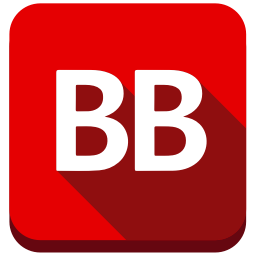 I am giving away 1 e-copy of A Bead in the Hand.